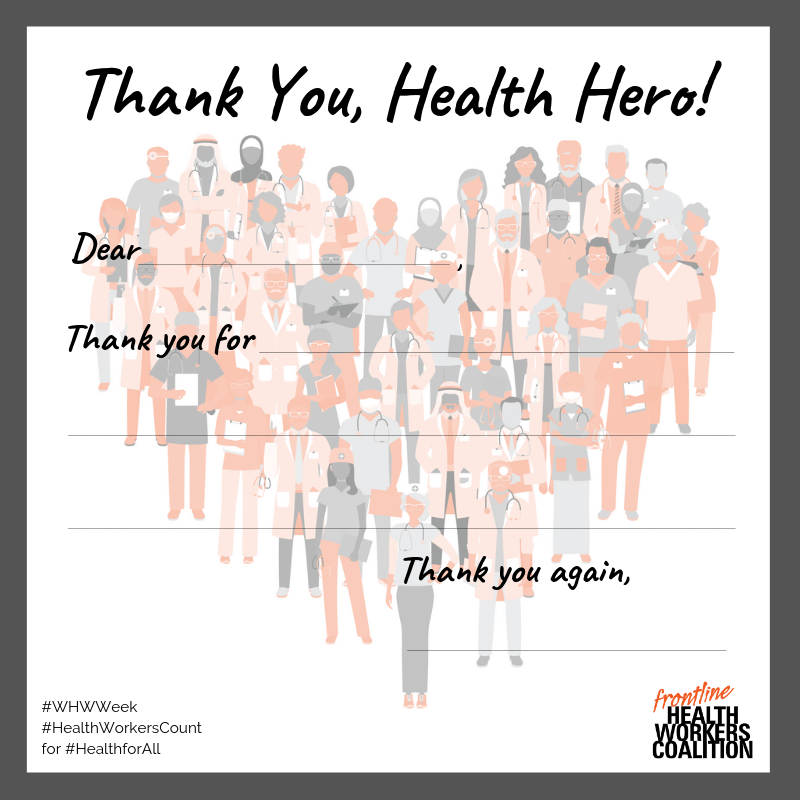 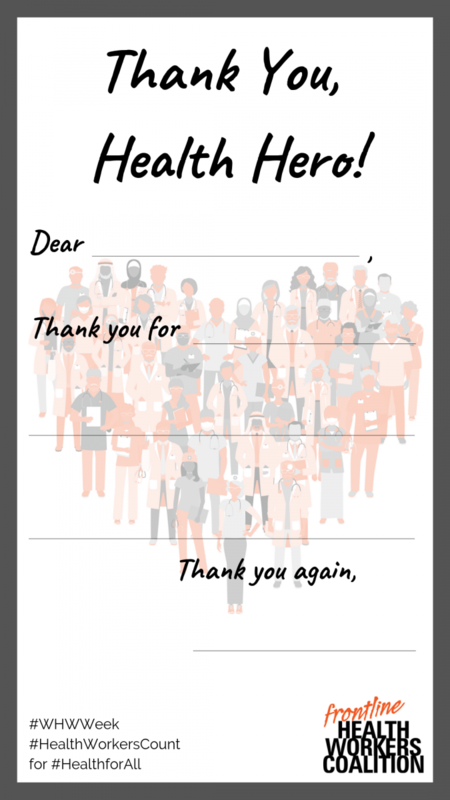 As part of World Health Worker Week 2019, participate in our "Thank You, Health Hero" campaign on Instagram and Twitter! 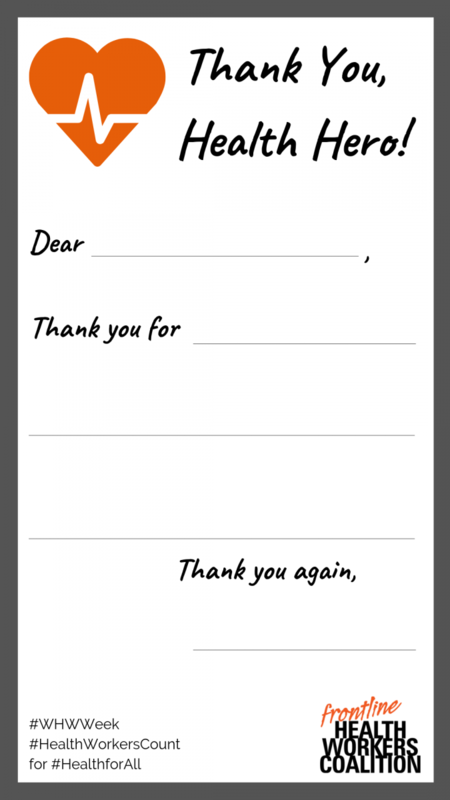 Choose one of our thank you note templates below and right click to download. 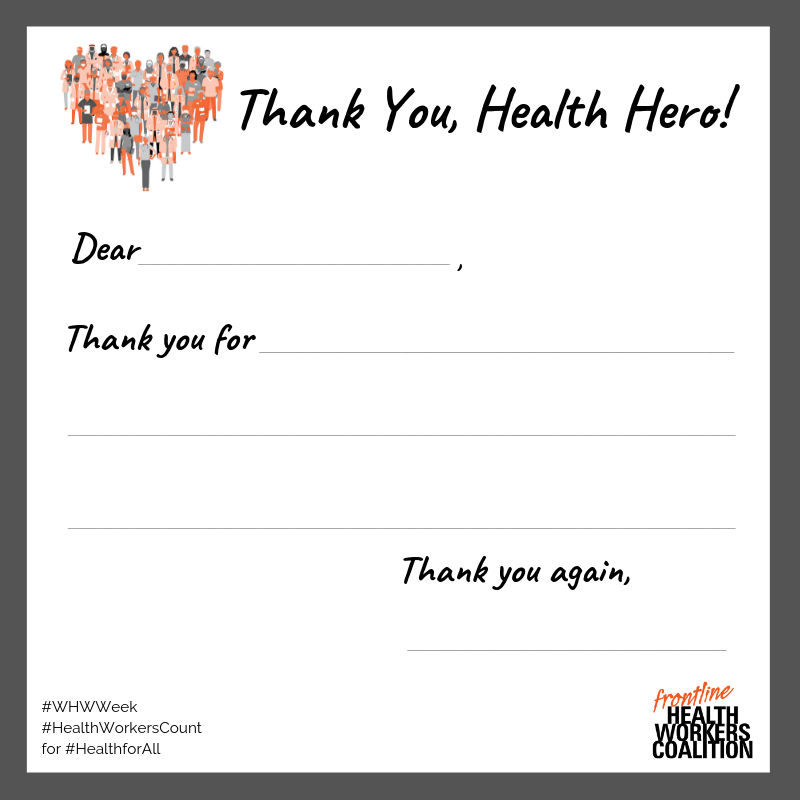 Fill it out, dedicating it to a special health worker in your life, and then post it on Twitter or Instagram. 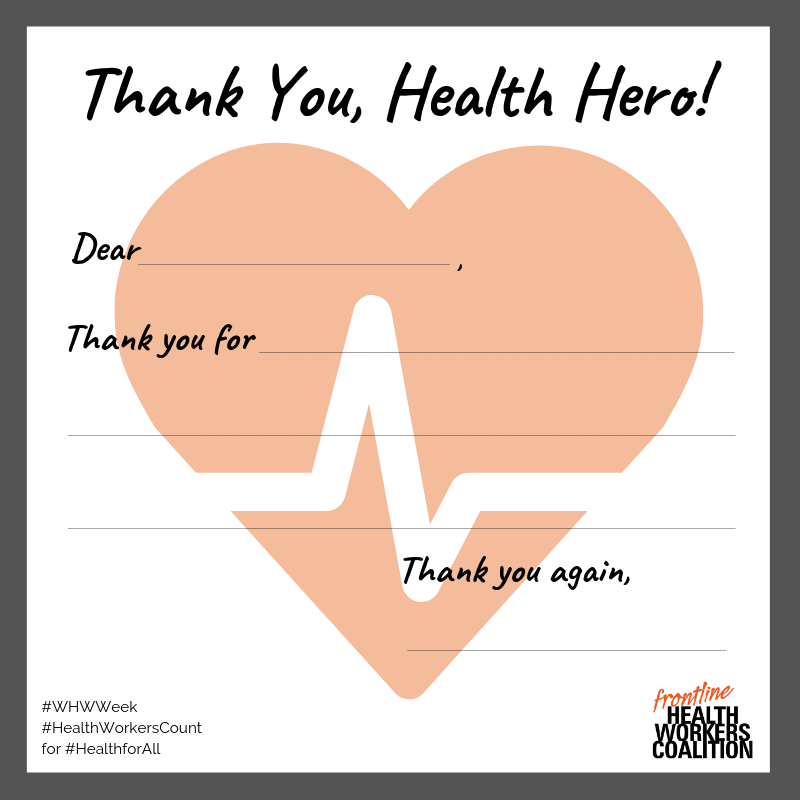 Make sure to tag @FHWCoalition and add #WHWWeek. 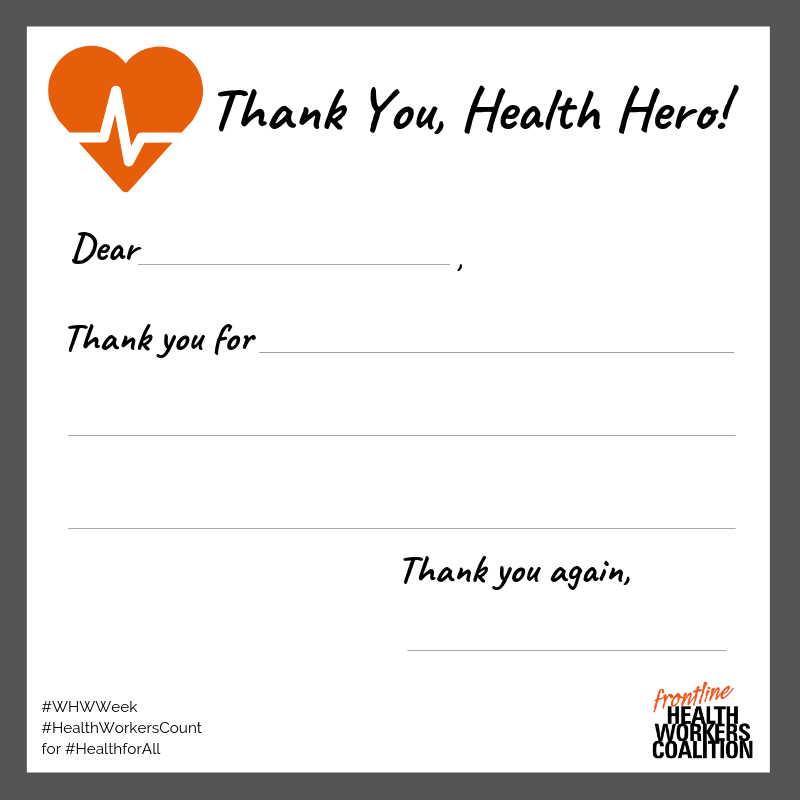 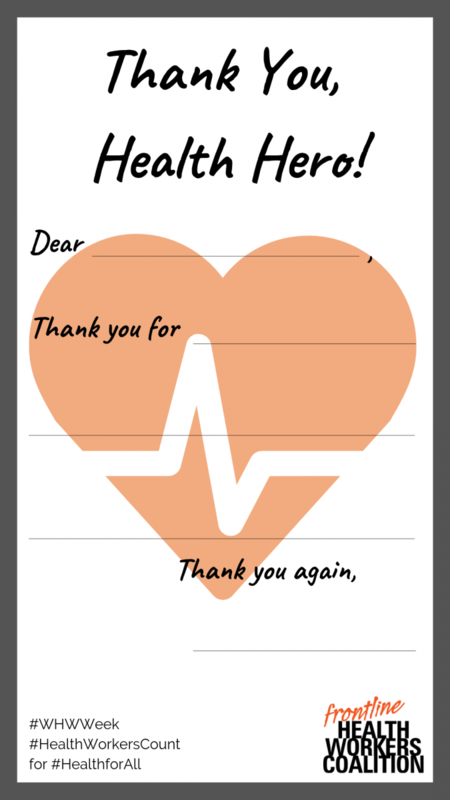 The Frontline Health Workers Coalition will share further, including in Instagram Stories, and read the best thank you notes aloud at our Congressional reception on April 4.